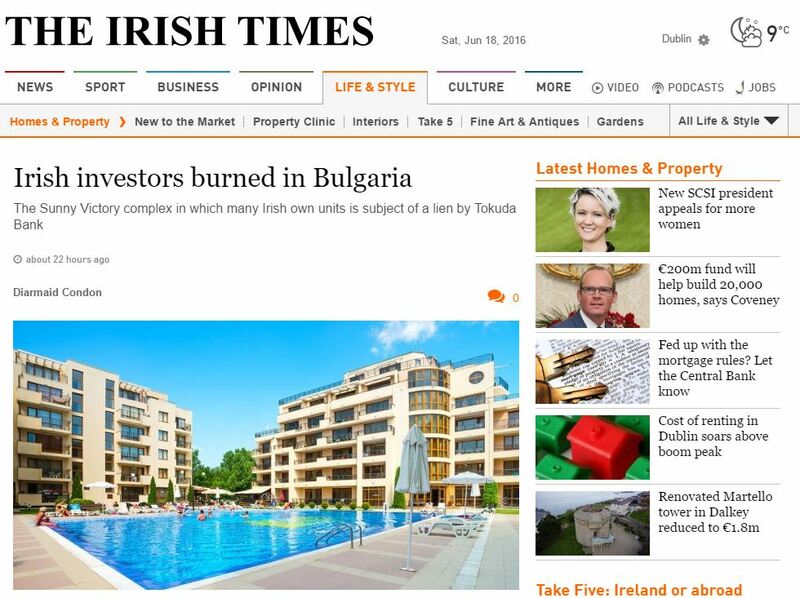 On Saturday June 18th there was a Sunny Victory, Bulgaria, Irish Times Feature highlighting the plight of over a dozen UK and Irish owners who have been informed by Tokuda Bank that they no longer own their properties. 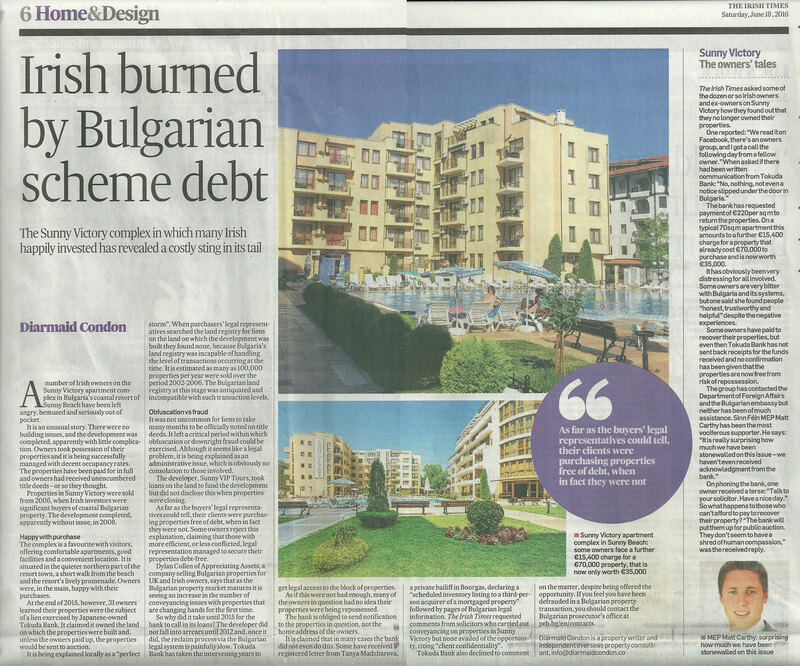 You can find the main article on the Irish Times website here. It doesn’t, however, cover the entire feature. You can find this below (under the picture of the online piece). If you click on the image it will expand to a larger and easier to read piece, if it doesn’t, click it again to magnify.